A busy week for birthdays! 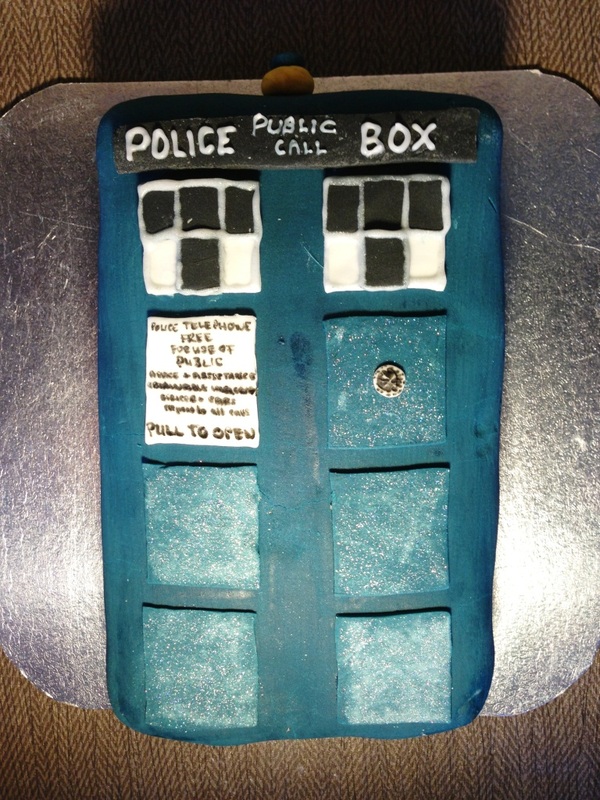 This cake is one for one of my best friends, who absolutely loves all things Dr. Who. He also loves all things tea and cake (and features in a fair number of my posts on the subject!) so it wasn’t hard to bake him something he’d like. 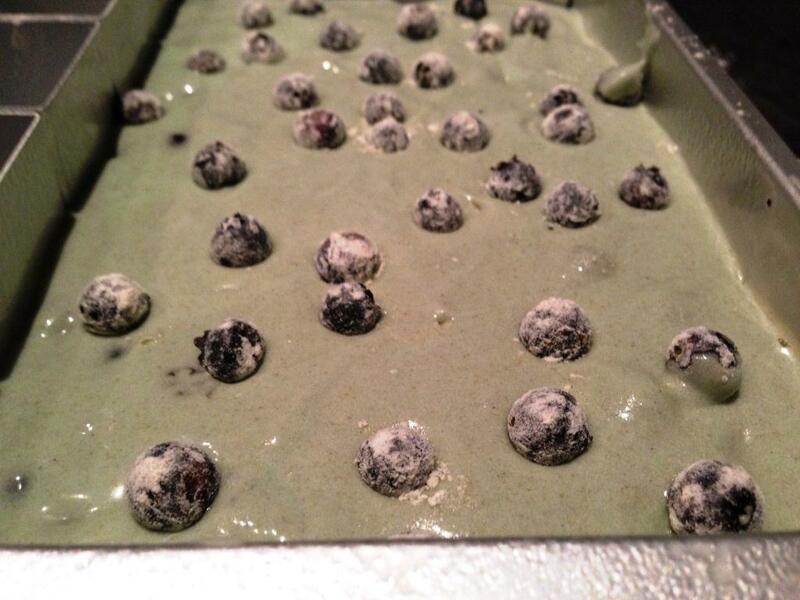 – bake at 180 degrees for 35 – 50 minutes, dependent on oven and size of cake tin. 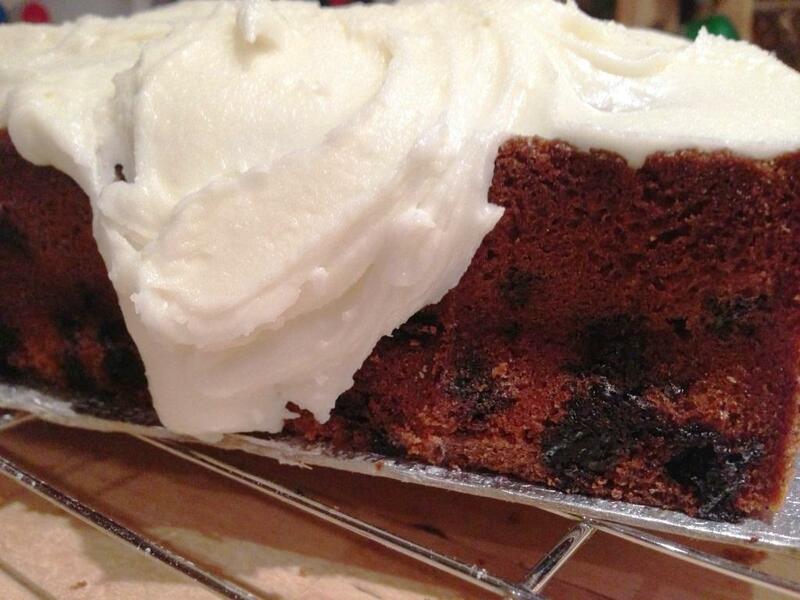 Check it’s done by inserting a skewer or toothpick, if it comes out clean your cake is ready! I let the cake cool completely before covering the top and sides with a thick layer of lemon buttercream – a perfect complement to the fruity cake and sweet fondant covering. 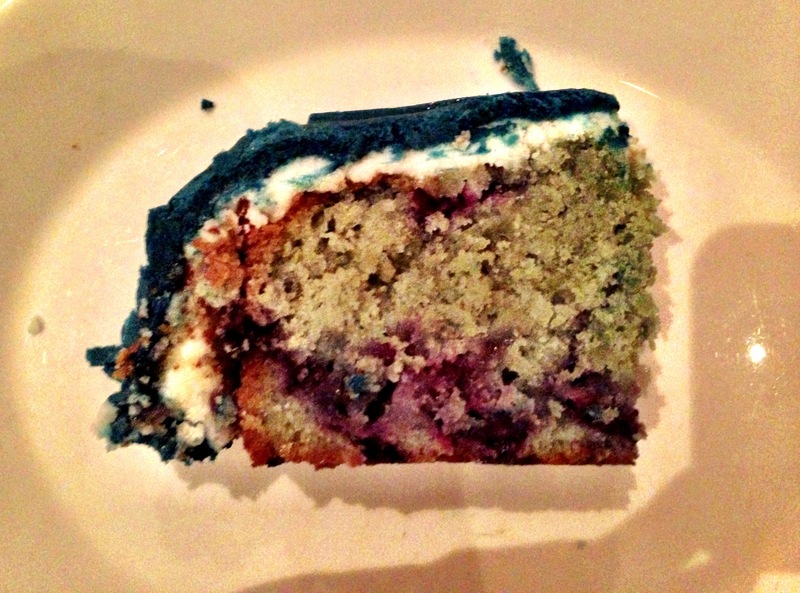 It took rather a while to get a dark blue for the fondant and I’m still not sure it’s quite what I wanted. Using a good amount of Wilton royal blue, with little dabs of black, it got to a point where the colour was just not improving, so I had to stop! This cake is probably the first time I’ve used a ruler in my baking – after covering the whole cake in the blue fondant, I carefully measured and cut smaller squares out of the same blue for the door panels. They were stuck on with edible glue, and finished with a little silver edible glitter. 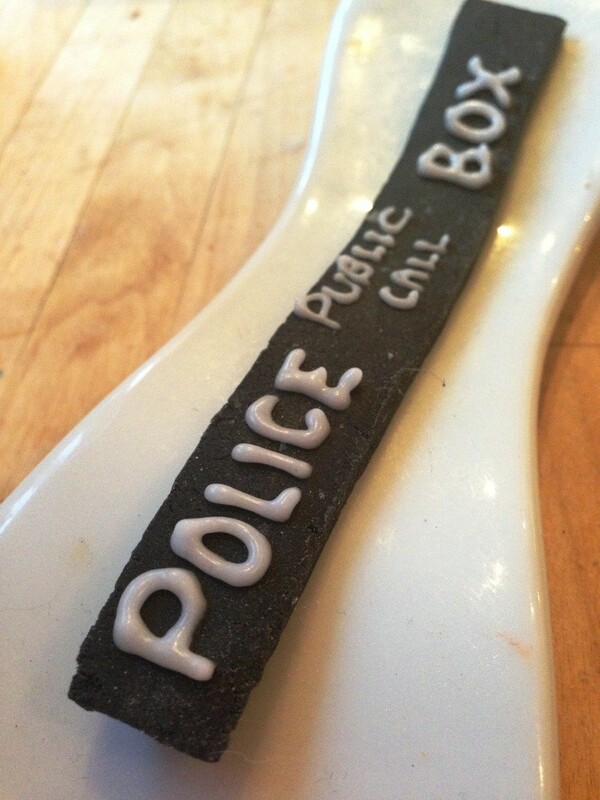 One of the biggest challenges for the Tardis was the Police Box sign itself – a black base with tiny white lettering. I tried a couple of small letter stamps but they just weren’t working out. In the end I used a plastic food bag, with plain white icing, and cut a very tiny tip out of the corner for my ‘nozzle’. A bit shaky in places but it turned out ok! A few more details in place – black and white window panes with piped grey edging, a white fondant panel with writing added (using a black food pen), and extra fondant details for the small round door symbol, and yellow top light. The completed cake! Sorry for all you Doctor Who buffs that it’s not 100% accurate – I could have spent a lot longer with my ruler! 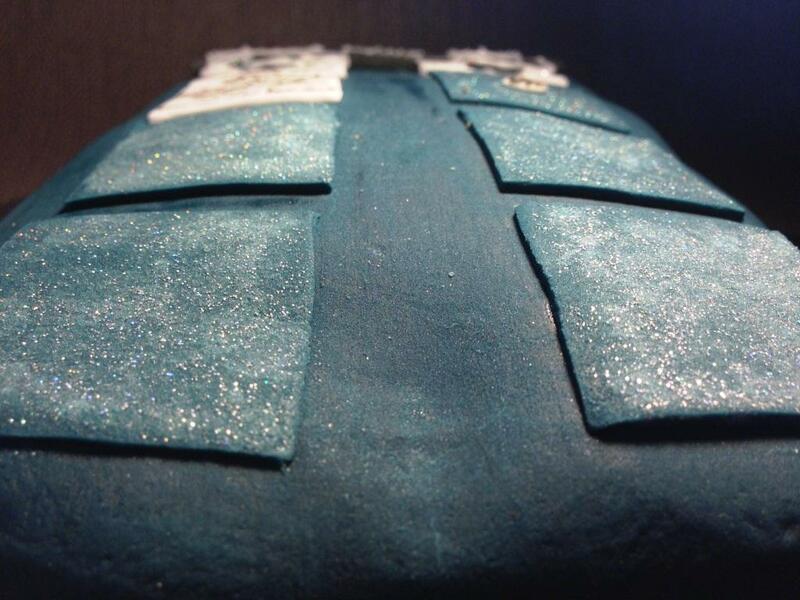 – but I’m happy that the overall effect looks as it should, the important details are there, and there’s no disguising that’s one big blue Tardis! And inside – a true Tardis through and through! 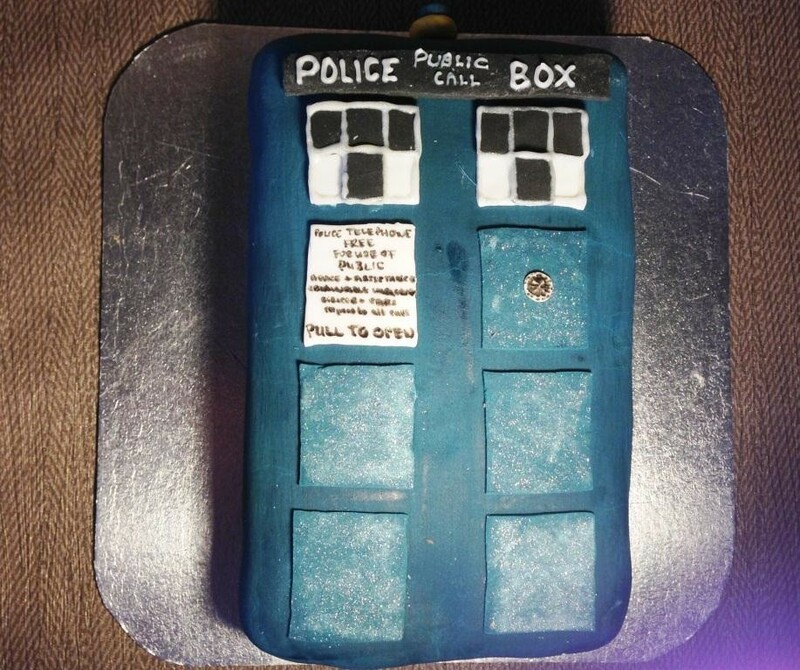 This entry was posted in Baking, Birthday Cakes, Cakes, Theme / novelty cakes, Uncategorized and tagged baking, birthday cake, cakes, doctor who, edible glitter, fondant work, occasions, paint effects, recipe by bakearama. Bookmark the permalink. So appropriate- the flavors on the inside are much bigger than appear on the outside! 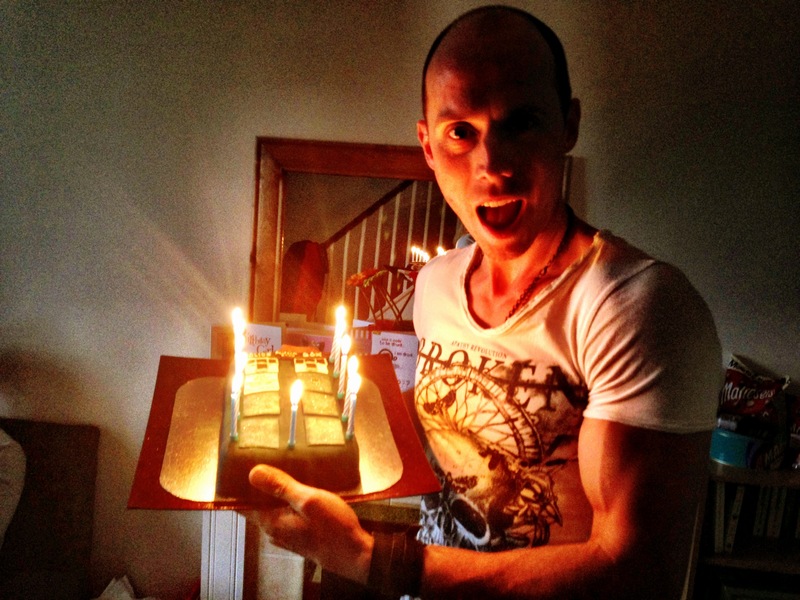 Okay, I really want to chat about the cake but boy your friends ARMS!!!! So muscly. He’s nearly as yummy as the cake! Back to the cake. I think this is fantastic! 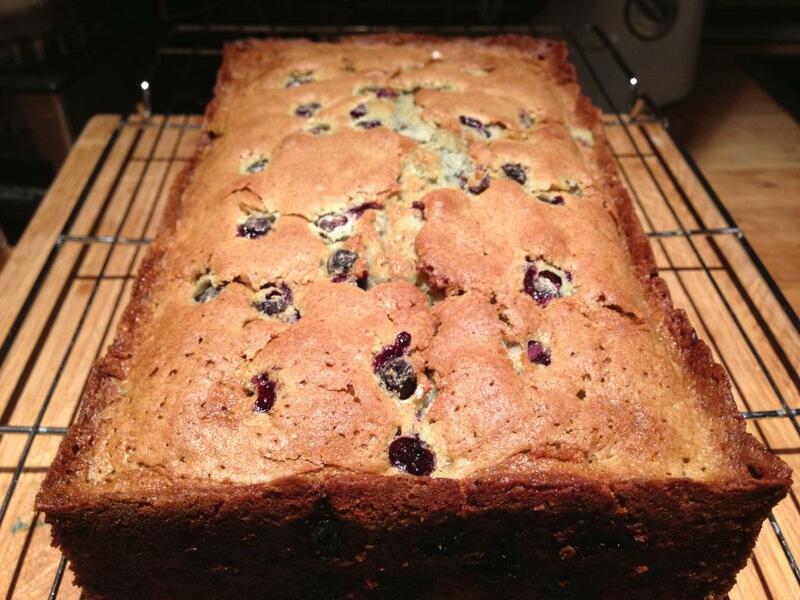 I love it and I really love the blue colouring for the actual cake and blueberries inside. Fab touch. Does coating the fruit in flour work for all fruit? I am making a raspberry cake tonight with frozen raspberries and that may just be the trick I need. Haha I hate to let you down but he bats for the other side… But yes it’s completely unfair that he looks like that, especially when he eats more cake than I do! Well as a happily married mum of two I don’t mind a bit of eye candy. Ha I find him great arm candy as well! OMG THIS CAKE. I LOVE IT. 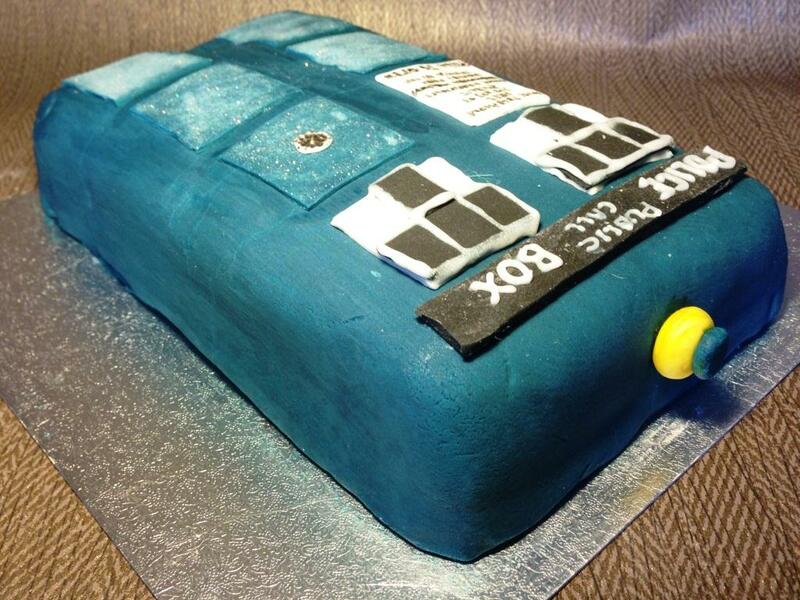 I need to ask for a Doctor Who cake for my bday next year!! !